Foreign language students spend much of their time communicating with each other, and with the teacher, who strives to use language tailored to the perceived level of lexical, syntactic and cultural awareness of the class. Study abroad, a potentially transformative immersion experience, is an ideal opportunity for practice in less artificial situations; nevertheless, relatively few students are able to participate in a study abroad program. One solution is to use the Web as a simulated immersive experience, so students can access authentic languages and images. Many educators concentrate on providing paths for students, or equipping them with enabling strategies to find useful paths themselves, through the vast quantity of webpages available (Perez). This solution favors reception, since the learner essentially collects, rearranges and analyzes extant material. An alternative is to create a mechanism where the learner produces content as well as decodes it, and one means to this end is a Web-based virtual community. The MITUPV Exchange (http://mitupv.mit.edu) is a bilingual virtual community where, since Fall 2000, students learning Spanish at MIT and their counterparts studying English and other subjects at the Universidad Politécnica de Valencia (UPV) in Spain, communicate each semester by means of bulletin boards, photos and online video. There has been additional participation by smaller groups of students from Cambridge University (UK), the University of Texas, Austin, and other universities in Spain and Latin America. More than 1100 community members have registered, including several students from other European countries and Asia who learned of the project through a Wired News article from November 2002 (http://www.wired.com/news/school/0,1383,56082,00.html). Most college students are extremely interested in analyzing, critiquing and communicating their own university experiences and comparing them to those of their counterparts in other places. The MITUPV Exchange offers a structure for students to compare various facets of their experiences and while doing so, acquire additional linguistic and cultural knowledge. The principal webpage category is "University," which offers the sub-categories of Academics, Extracurricular activities, Athletics, Majors, Residences, Social Life, and Traditions. Within each category the user can choose a bulletin board, a series of links to other Web pages, or a multimedia section. The multimedia section contains photos and videos, accompanied by a title and explanation written by the person who uploaded the object, on subjects appropriate to each sub-category. The content of the photo or video ranges from a visit to a lab where students conduct experiments or build machinery, a glimpse of a party, campus concert or p'etry reading, to tours of an apartment or residence hall. Other community members post text comments to these media objects. Separate from "University," a category with the same structure is "Cities," which includes discussion boards, links and multimedia about the cities where the participating universities are located as well as photo and video visits to the students’ home towns or places they have visited within their country or abroad. 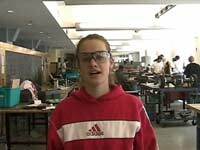 Figure 1: MIT student Sarah Mendelowitz introduces preparations for a mechanical engineering contest. The focus on college life continues within other areas of the Web page, with chat functionality, a presentation section called Teach Me (photos and text), and a calendar for posting upcoming activities. Users can go to the What’s New page to see recent contributions in various categories, configurable by time period. The Spotlight section allows users to contribute topics and photos; at times Spotlight themes remain within the confines of the general focus on college life, but often current events take precedence, as occurred with events of September 11, 2001, the Iraq War, or the ecological catastrophe off the Galician coast of Spain caused by the oil tanker "Prestige." Currently anyone can download materials, but in order to participate in bulletin board discussions or chat, add links, or upload multimedia files, a user must register and be logged in. User profiles, available through the People section, can be as short as school identification and email address, or much more complete, with biographical information, link to a homepage, and a photo. Biographical profiles reveal linguistic as well as personal information, and demonstrate the complexity of identity categorization. Except for groups of foreign students enrolled in specialized programs, undergraduate participants from the Spanish side exhibit a uniformity of ethnic and religious background that contrasts sharply with that of their MIT counterparts, who at times are often second- or third- generation Americans with roots in Europe, Asia or Africa. Graduate student participants at the UPV in Spain are sometimes from Latin America. The resultant mix of "otherness" creates what might be termed "fuzzy identity," where images, that reveal ethnic origin, co-exist with language, that belies various degrees of acculturation. MIT students become privy to a Mexican, Chilean or Ecuadorian take on Spanish society, and UPV students confront the multi-layered, "hyphenated" identities of many MIT students. The multimedia aspect of the project creates norms of online behavior distinct from other online text- or graphic avatar-based communities, where characteristics such as gender, age, ethnicity and appearance can be ignored, changed or masked by anonymity or invented personas. Students provide most of the content. The pedagogical emphasis of the project lies in the need for representation and interpretation. Both English and Spanish are used throughout the website; students’ use of their native language is for the benefit of their counterparts in the other country. Students represent their own identities in various dimensions: national, ethnic, religious, educational/career. They also represent their college and its particular culture, and interpret the representations of others as well. In the case of the MITUPV Exchange, the nature of the audience lies somewhere between the limited audience inherent within the confines of a classroom discussion or simulation, and the broader group referred to in the quote above. Through use of the project students become aware that they need to take into account differing culturally-based perspectives of the "other," and cannot assume that university systems, living arrangements, and expectations regarding friendship and family are easily translatable. For example, engineering students in Spain ask why MIT students take humanities courses. The mixture of engineering and humanistic content on a single webpage is an innovation for Spanish universities, where courses and careers are generally compartmentalized. Spanish participants are also baffled by the smoking and alcohol restrictions prevalent in US universities, and are intrigued by the "hand-on" approach typical of MIT engineering courses, where design contests and competitions are heralded events. Initially it d'es not occur to MIT students that their counterparts in Spain would not automatically grasp the concept of a "prom," "fraternity" or "sorority." Some of the students in Spain offer photos of themselves with text captions whose affectionate or joking tone is interpreted as flirtatious by their counterparts in MIT. The Valencia students’ strong opinions on international politics, including how the United States is viewed abroad, also surprise many of the US students. Students learn about these similarities and differences through the experience not only of exchanging messages but by examining the representation of the "other" in photos and videos. They also know that others in their own university community will learn from, comment on, and sometimes challenge, their representation of a particular aspect of the same university. In fact the nature of the audience has been a critical point from the outset. In post-use evaluations some students favor expanding the base to include more universities, while others prefer the more personalized feel of a smaller virtual community, with 100-150 students participating during any given semester. One student said she needed to see the photos of the students abroad to experience them as real individuals. Another student who visited Valencia after the semester ended said he was not "meeting" students there because he felt a prior familiarity from earlier contact. MIT has been involved in technology-based projects for language learning since the 1980s, many of which were undertaken in conjunction with other research institutions (http://consortium.dartmouth.edu/). and are related to other academic units (http://web.mit.edu/cms/ ) The original idea for the project arose from an MIT classroom simulation where students of intermediate Spanish design a "utopian university," coupled with the desire for a distance learning experiment between MIT and the UPV. We were also encouraged by the success of a different kind of inter-university online project for French (http://web.mit.edu/french/culturaNEH/). The MITUPV Exchange was programmed as a class project by two MIT undergraduates who in Fall 2000 took Software Engineering of Innovative Web Services, taught by professors Hal Abelson and Philip Greenspun (original class Webpage no longer online; http://www.eecs.mit.edu/AY98-99/spring-cat/6916.html, is the URL from the previous semester). This course provided an emphasis on creative use of OpenSource software, using at that time, the ArsDigita platform (subsequently acquired by RedHat, http://www.redhat.com/software/rhea/) as a tool to build virtual communities (see http://openacs.org/). The design for this specific application, which included input from students in a Spanish class that same semester, is robust and utilitarian, aiming for database modularity (Greenspun) and usability (Nielsen). There are provisions for continual uploading, downloading, automatic archiving, and for administrative access for the removal or correction of text entries in both English and Spanish. Some desired features, such as search functionality, were not able to be included, so that within each subcategory, archived uploads are simply listed by date of posting under "View all." As content increases each semester, navigation becomes difficult, and subsequent students find the overall design less intuitive than did the original student programmers. We hope to improve navigation with a second archival webpage, working with Kurt Fendt at MIT, that will allow for tagging and search features as part of the MetaMedia group of projects (http://metaphor.mit.edu/) that is currently using Oracle 9i and Enhydra (http://www.enhydra.org). Academic Computing and Academic Media Production Services at MIT, which have provided a server (Sun Microsystems Sun Blade 100 running an earlier version of Oracle) and server maintenance, have also stressed the need to move to a platform that is readily supported. Online video is one of the most appealing features of the project, and again, students play a central role. Most of the videos contain segments in both English and Spanish. At the UPV most of the time faculty is responsible for all stages of video, from shooting, to editing, compression and uploading, with one group lead by Plasencia working with Mac-based facilities and another, English students taught by Seiz, working in a PC-based lab. At MIT the same procedure was followed, with the teacher (Morgenstern) undertaking all production and post-production with Mac equipment. Since 2001 students have taken over the first stage: they borrow an MIT-owned dv video camera and shoot in places off limits to the teacher, thereby achieving more authenticity and more natural behavior. A few students take charge of all stages of video production. Video can provide rich context as well as sound and movement, and for these reasons is well-suited for the transmission of cultural and linguistic information. Nevertheless, because the project has not yet moved to streaming video, reception is the limiting factor, and the UPV needed to upgrade student-accessible online infrastructure to accommodate the project. Broadband access is required for reasonable download times, since files size currently averages around 15 MB. Most of the videos last two to three minutes, and although there are compression codecs that would allow for very small files quickly downloadable through a modem, since this is a language learning project, we as teachers can live with video at 15 frames per second but prefer minimal compression of the audio track. Currently we are uploading files in either Quicktime or Windows Media, using both versions for the same video whenever possible. All of the MIT videos are edited in iMovie, with additional transition and effect software from http://www.virtix.com/and http://www.geethree.com/, and compressed with Media Cleaner Pro (http://www.discreet.com). Apart from the particular value for this project, the video archives document several years of student life and provide content and perspectives unavailable from other sources. Although the underlying pedagogy is rooted in a student-generated process of creating content and meaning, and follows the widespread reliance on constructivist learning theory, participation is still tied to a particular set of universities and courses that differ among themselves, and user behavior reflects this situation. MIT students know in advanced that 25% of their course work (and evaluation) involves work with the webpage, including oral and written reports and group projects. Individual differences in learning styles influence student reaction to the tasks associated with the webpage. Some students view participation in the spirit of an exploratory game; at the other extreme is the case of one student who requested instructions on the exact number of messages and comments she was expected to post per week. The large quantity of text and audiovisual data leads to a competition for attention, where users employ various strategies in an effort to get their contributions noticed. Users are pleased when other community members post responses to their discussion questions or comments on their multimedia objects, and disappointed when their contributions are orphaned. General social and institutional constraints of different groups also influence participation patterns. MIT students tend to be online more hours per week than their counterparts in Valencia, and to be connected from residence facilities, while students in Spain are more limited by institutional access. School calendars and vacations often do not coincide. MIT students use the project for one semester, while UPV students remain in the same class for the academic year. Many participants request more chat sessions, but synchronous communication has to overcome the obstacle of time zone differences, class schedules, and the availability of online connections. As a result, almost all of the interchange has been asynchronous. The multimedia aspect of the interchange is the feature most commented upon by students. Yet we know that like language, images are part of a grander system of meaning and structure, and students need ways to decode, interpret and reflect upon images and their implications. The project would benefit from a component providing principles of media literacy. We are immensely privileged to have had the website programmed within a few months, at no expense, as part of a class project. These kinds of expert supervisory and computational resources are normally available to humanities projects only when they go through much longer funding and development cycles. Obviously, we could not demand functionality beyond the limitations of the student programmers’ own goals or abilities, but the collaboration did yield features we did not know we needed until we had them. The creation and maintenance of virtual communities is not intrinsically difficult. Each generation of students becomes more familiar with online tools. In 2003 many students have access to scanners to digitize photos, or to digital still cameras. However, the centerpiece of the multimedia experience, the online digital video, remains time-consuming and beyond the means of most students to handle autonomously. Alliances between media and language departments to share the task might be feasible. It must be stressed that editing and compressing videos for the purposes of this project requires decisions based upon linguistic as well as esthetic criteria, and the individual teacher is crucial in this role. While the project is certainly labor-intensive on the faculty side, the process has been gratifying. Support for MITUPV Exchange was provided by Foreign Languages and Literatures and the Class of ’51 and ’55 Funds for Excellence in Teaching and the Class of ’72 Fund for Educational Innovation at MIT; infrastructure support at the UPV was provided by the Escuela Técnica Superior de Ingenier’a del Diseo (ETSID) and the Office of Justo Nieto Nieto, Rector. P. Greenspun, Philip and Alex’s Guide to Web Publishing, Morgan Kaufmann Publishers, San Francisco, 1999. J. Nielsen, Designing Web Usability: The Practice of Simplicity, New Riders Publishing, Indianapolis, 1999.